Map of the Canadaigua Wine Map in Canadaigua, New York. Shows all wineries and vineyards in the area. 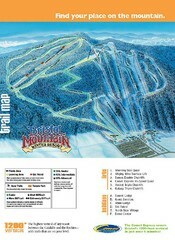 Trail map from Bristol Mountain Ski Resort. Trail map from Hunt Hollow. 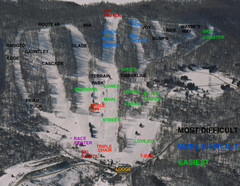 Trail map from Brantling Ski Slopes.